On the face of it, the axing of the Sunwolves from Super Rugby was simply a case of too much money demanded, or a belief that the tournament was not the right road for Japan to pursue. But delve deeper and it appears that political intrigue was at the heart of the decision that sent shockwaves through the rugby world. It appears not only were certain members of the Japan Rugby Football Union clearly doing all they could to ensure the Sunwolves would be no more, but factions within Super Rugby organizers SANZAAR put long-standing grudges ahead of any attempts to help spread rugby through Asia, the continent that will host this year's World Cup. Friday's press release and press conference from SANZAAR and the JRFU were both fairly diplomatic, but it was obvious there was a difference in opinion. SANZAAR said the problem was the JRFU's inability to meet certain financial requirements, this despite the governing body of the sport in the Southern Hemisphere asking on a number of occasions for the Japan Super Rugby Association to distance itself from those in charge of the game in Japan. The JRFU, meanwhile, said the fee demanded from it was unreasonable and "non-negotiable," and as a result, according to SANZAAR, they opted to pursue other ways to develop the Japanese national team. Kyodo News, however, has learned that political fighting was at the heart of the matter and the result could see a revolution in Japanese rugby, courtesy of marketing giant Dentsu Inc., who bought out CSM, one of the leading rugby agents in New Zealand. As far as the money is concerned, multiple sources have told Kyodo that the JRFU were being asked to provide a $5 million participation fee, pay $2 million in travel expenses and forego broadcast rights that could have brought in a further $2 million, none of which applies to the other 14 teams in the competition. "It was not that we were unwilling to underwrite the Sunwolves, we just couldn't agree the financial terms presented to us by SANZAAR with other demands on our budget," JRFU Chairman Noriyuki Sakamoto said. 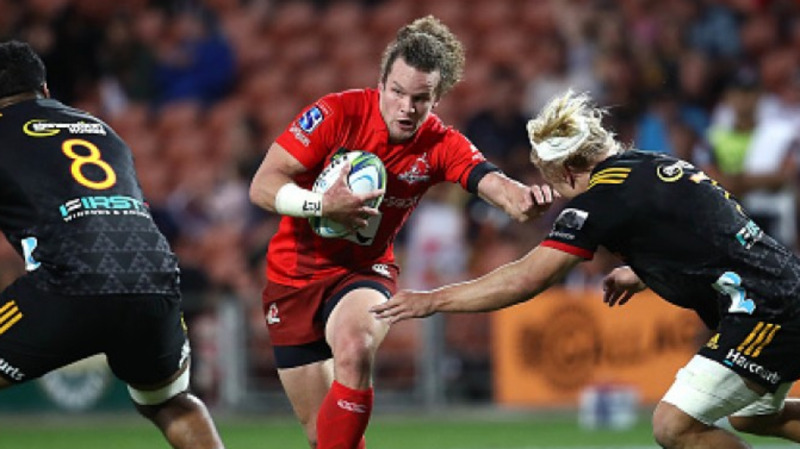 The payment demand was also not mentioned in previous discussions about extending the Sunwolves' Super Rugby tenure, despite any changes to the tournament agreement needing to be unanimously supported by member federations. According to one source, the New Zealand and Australian federations, which until the end of 2018 had been fully supportive of the Sunwolves, had gone silent in recent months and have finally been won over by their South African counterparts. The South African authorities and teams have long expressed their displeasure with the Sunwolves, in part because they believed the Japanese side was not contributing financially. Though the benefits that came from the influx of cash from the numerous Japanese companies that sponsor Super Rugby sides outside of Japan was often conveniently ignored. From the outset, concerns were raised about the flight times from South Africa to Tokyo, with the result that the Sunwolves have had to play three games a year in Singapore, where crowds are next to nonexistent. However, it was the anger of the South African Rugby Union at three decisions made by a JRFU representative -- known to be opposed, along with other senior members of the union, to the concept of the Sunwolves -- that really upset the apple cart. Not only did Japan vote for France, and against South Africa, to be the host of Rugby World Cup 2023 but a source has confirmed that on two occasions the same JRFU official voted against the South African candidate hoping to join the World Rugby Council. With any support for a Japanese team evaporating, it appears alternative plans were drawn up in Tokyo, leading SANZAAR to say that, as far as it is concerned, "The future of the Sunwolves will now be determined by the JRFU which has determined that Super Rugby no longer remains the best pathway for the development of players for the national team." Kyodo News has learned that this alternative pathway could involve a new club rugby competition run by Dentsu with the support of CSM and the players it manages. Numerous sources have said that sponsors, TV rights and peripheral companies involved in putting on major events are all on board and that the tournament could involve not only established and newly-created Japanese teams but a number of sides from overseas. When asked recently about the proposed competition, Sakamoto initially refused to comment, before adding, "We have heard the rumor, but nothing official. If anyone wants to play rugby in Japan they need our approval." If such a league were to be set up and run from January to June, ensuring Japan's top players are ready to take part in World Rugby's proposed Nations Championship, it could see a host of players currently playing for SANZAAR teams move full time to Japan in search of bigger paydays. In a twist of fate to match any political thriller, it could be that SANZAAR's axing of the Sunwolves may end up being the catalyst that breaks up the sporting body, rather than strengthening its own competition. Whether Japanese administrators have the wherewithal to run such a competition, however, given its union's members are so clearly out of touch with modern rugby -- not to mention the JRFU's motto of "One for all, all for one" -- remains to be seen. One thing is for sure, though, the real losers are the players, coaches, administrators, and most of all the Sunwolves' fans who, rather than being duty-bound to a company team, finally had one to which they could choose to pledge their allegiance. It is those fans who will suffer the most for having been caught up in the middle of all this nonsense.